There were a few people gathered in front of this stall when I was there. 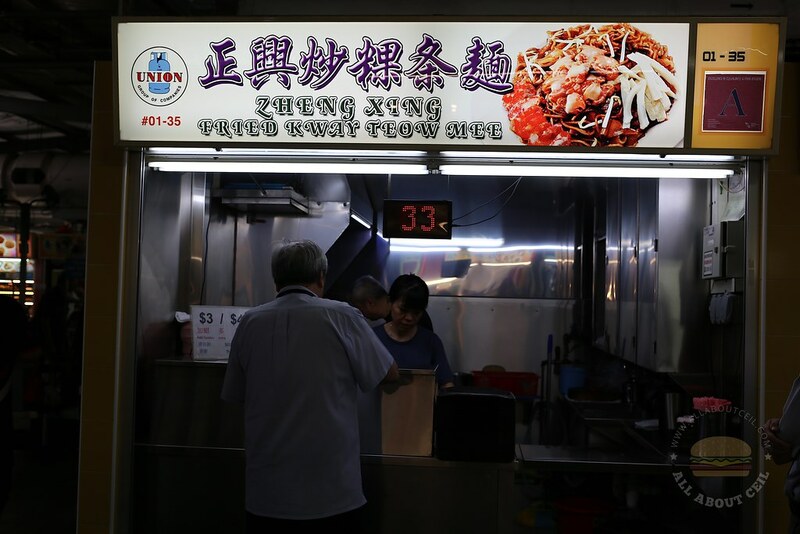 I was curious and decided to try their Fried Kway Teow Mee. There is the $3 as well as $4 portion and I went ahead with the larger portion. I was given a number tag after ordering. It was 1 pm then and I was told to come back at about 1.25 pm. The lady said, "Your order should be ready by then." I went back at about 1.25 pm and it was not ready yet. I waited for another couple of minutes before receiving it. I was expecting it to be of a certain standard after waiting for so long. My first mouthful did not manage to amaze me. It was not bad but not mind-blowingly good. 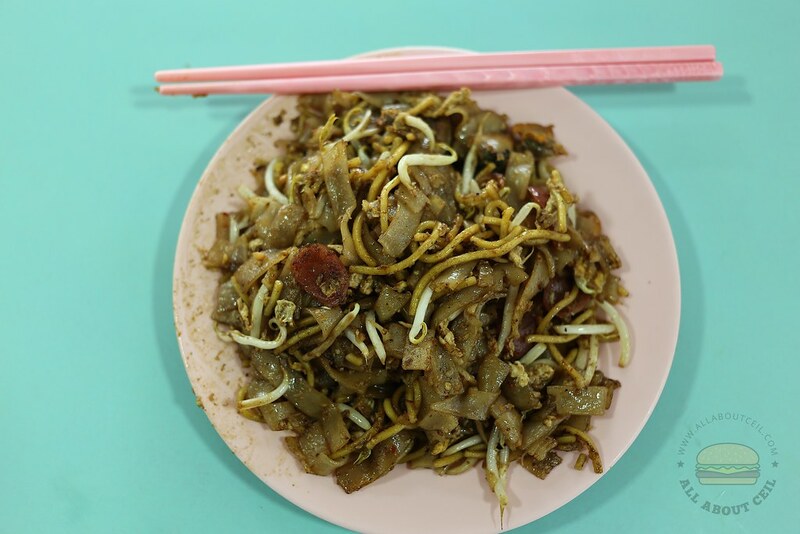 It was just a mass of kway teow and mee stir-fried with ingredients like Chinese sausage, egg, cockles and a handful of cockles. The color was much lighter than most Fried Kway Teow. The dark sweet sauce is clearly omitted as it did not have the usual sweetness. It is also not as savory as the Penang Fried Kway Teow. I requested to have less chilli added but it still tasted quite spicy.